A question that I get asked a lot is if you should play the full ring or 6max poker tables. I think there are a lot of different pros and cons to each so I am going to address them here in this blog post. Here is the short answer though. You should play full ring if you are a patient type of person who likes a slower style of game. 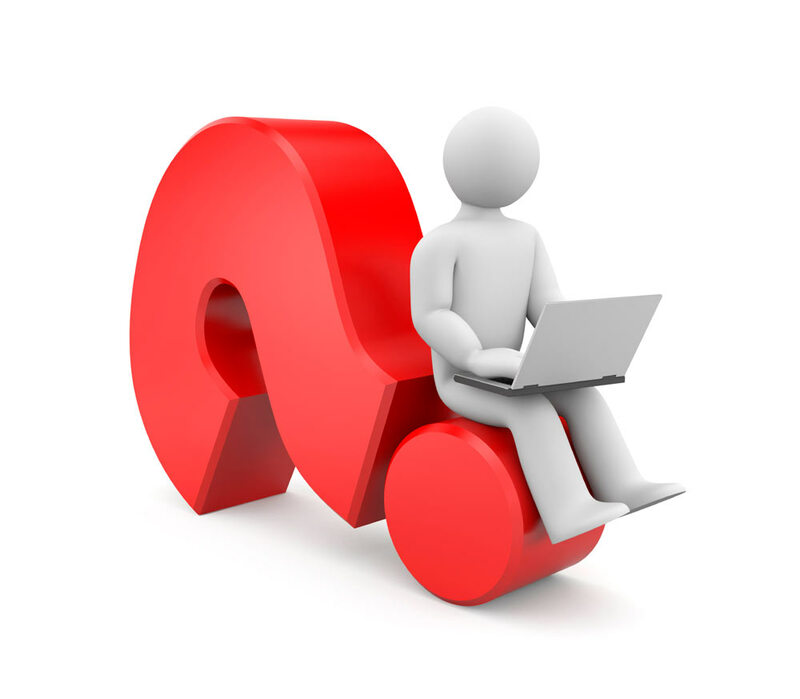 You should play 6-max if you are an action junky who craves lots of big bets and a fast paced game. What people especially want to know about though are the profitability of each format, the different play styles required to beat them and the presence of fish. I will address each of these in particular one by one. Are Win Rates Higher in Full Ring or 6max? It is difficult to answer this question because I do not have all of the data. 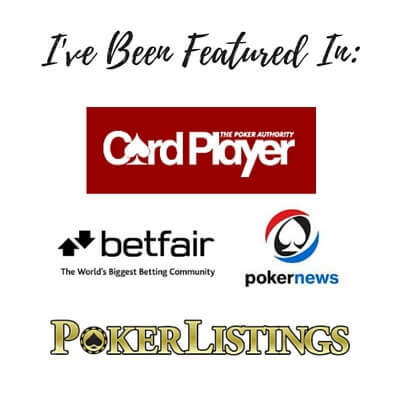 The poker sites themselves are probably the only ones who truly know if there is a difference but that is proprietary information that they aren't likely to release. The infamous pokertableratings.com website who used to widely publish player information and results before Pokerstars laid the hammer down on them provided some interesting data. I remember checking the leader boards on that website for results in full ring and 6max at all levels of the micros. Their results indicated that there was no real substantial difference between the win rates of the top players in either game. Now of course the win rates of the top players are much different than the average win rate or the median win rate. There is no way of knowing what these are. But on the surface, and from my own personal results as well, I think that win rates are pretty similar in both games. It is only in heads up games where you will see a substantially higher win rate ceiling because you can play every hand against a fish with no interference from other regs. But then of course you can't put in anywhere near as much volume in this format either so it evens out. The potential win rates are roughly the same in full ring and 6max. If you really break it down all a 6max game really is is a full ring game minus the first 3 seats. But the reality is that those extra 3 seats do make a big difference. There are 50% more people at a full ring table and this means that the average hand strength in any situation will be higher. But beyond this I also feel that there is a different mental approach to each game as well. Full ring tends to attract more of the nitty mass multi-tabling grinders whereas 6max attracts the action junkies. This is not always the case but the generalization is fair I believe. I think that this is the mentality that you need to bring to each game as well. While you could simply open with the exact same range in a 6max game as you would from the final 6 seats in a full ring game this would not be optimal. 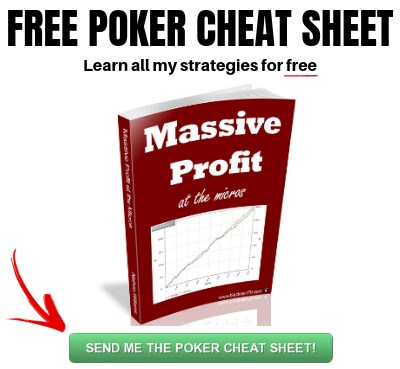 People are more action orientated in 6max and will 3Bet you and 4Bet you more often. They will also run bluffs postflop with a higher frequency and value bet thinner. This means that you need to open up your game a little bit more in 6max both preflop and postflop. Now there is always the disclaimer that I need to mention for the super micro stakes games like NL2 and NL5. Most of the regs at these limits have very little creativity in their game. They are often on way too many tables and simply waiting around for the nuts regardless of the format. Therefore, it would be a mistake to think that every time a reg at these stakes 3Bets you in 6max that they are out of line. In fact you will still find many weaker regs at these limits who play both formats and amazingly they do not change their play style at all. However, 6max is a game that will always be a little closer to the truest form of poker in my opinion which is heads up. That is, relative hand strengths are lower and therefore the pot usually goes to the person who wants it more. The thing is though, 6max is way closer to full ring than it is to heads up in this regard. Hand strength still does matter a lot especially at the lower limits where the regs often aren't bluffing. If you tried to bring a heads up style of play to a 6max game it would be disastrous for your results. However, in 6max you do need to come out of your full ring shell a little bit in order to achieve the maximum success. 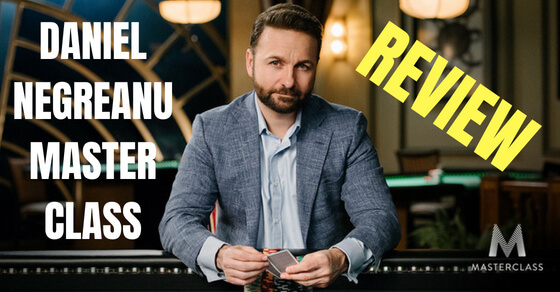 You need to open up your game a little bit in 6max compared to full ring by playing a few more hands, bluffing a bit more and value betting a bit thinner. However, you don't want to go overboard with this especially versus many of the regs at the lower stakes. Are There More Recreational Players in Full Ring or 6max? I really don't have much evidence to say definitely one way or another. One would think that a lot of fish are action orientated and therefore might be more inclined to jump into a 6max game. However, plenty of recreational players like to sit at a full ring table as well. The reason why is because this is likely the format that they are more familiar with if they come from a live background. Also, full ring makes it easier for them to find a seat, ease their way into the action and then start playing badly. I think the last point here is the most important. And I don't mean the playing badly part. That is what they do best and we all love them for it. I mean finding a seat and getting into the game right away. It is important to remember that recreational players have jobs and a full life away from poker. They simply play the game to unwind or for enjoyment in their spare time. Therefore, they don't want to waste their time searching for a table or sitting on a waiting list. They will simply join the first table that they see which has an open seat whether that is full ring or 6max. This is one of the biggest reasons why I suggest starting your own tables or joining short handed ones in order to play against the bad players more consistently. Make it nice and easy for them to find you. The numbers of fish are probably pretty similar in full ring or 6max. This is a massive topic which could easily be an entire article unto itself. 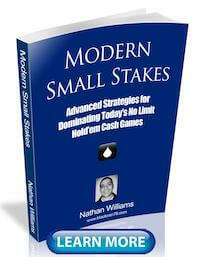 However, on most sites you will earn a higher number of points or rakeback percentage per hand in a 6max game. The reason for this is really simple. You are going to be involved in more hands in 6max and also the pot sizes will be a little bit higher due to the fact that it is a more action orientated game. However, the equalizing factor here is that you can play a lot more tables of full ring. This means that even if the rakeback level is a bit higher in 6max that it will be made up or even exceeded by the increased volume in full ring. This is why many serious rakeback grinders do indeed prefer full ring. The levels of rakeback are roughly the same in the end in both formats. So Should You Play Full Ring or 6max? So I have laid out the facts above. There are some small differences in the play style required to beat each game but everything else is pretty equal. Play the one that you enjoy the most! We all started playing poker for fun and it should always remain that way. Most people who succeed in a big way in this game are the ones who truly love playing the most as well. You are going to be more motivated to learn and improve at something that you enjoy doing. Then you will get better results which will motivate you even more. Also, I think some people are just more naturally hard-wired to play either full ring or 6max. If there are any fellow Starcraft nerds out there then you probably stick mostly to one particular race, Protoss, Zerg or Terran. I definitely believe that different personalities are drawn to the style of play of each particular one. The same thing applies in poker. Reserved, calculating, mathematically orientated people are probably going to be more drawn to full ring. More spontaneous, action orientated people may be more interested in 6max. These are certainly generalizations in many ways but I believe there is some merit in them as well. Protoss all the way! My life for Auir! Seriously though, play 6max if you enjoy it. Or play full ring if you enjoy it more. As Tom M pointed out in the comments below the variance in full ring is generally quite a bit lower than in 6max. This means that you will have less intense downswings and less volatility to your bankroll in the short term. This of course means that your upswings might not be as high either. However, I think that overall the lower variance is a good thing for many newer players who may have difficulty dealing with bigger swings. If you are just starting out online and literally have no preference to either format then I would suggest that you choose full ring for this reason alone. Ultimately it is your decision whether you play full ring or 6max. I can't decide for you. There probably isn't that much difference in the amount of money you can make in either game so that should not factor into your decision. I think you should therefore simply play the game that you are most naturally drawn to and enjoy playing the most. But hang on a minute. Some of you might be thinking to yourself why not simply play both? Great question and this is actually what I do these days. The main reason why is for increased table selection. I am simply trying to find the fish. I don't care what kind of table they are sitting at. Incidentally, once you get to the mid stakes games (and obviously the high stakes as well) this actually becomes something of a must. Almost everyone plays both 6max and full ring at these limits because the player pool is simply way smaller. However, when you are just starting out at the micros I think you should stick to one particular format for now. 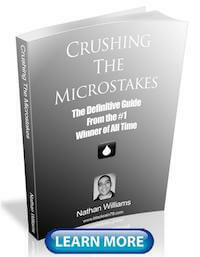 I am a big proponent of keeping things as simple as possible as you work your way up the micros. There is no lack of table selection at these stakes anyways. Let me know in the comments below if you prefer 6max or full ring and why. Or if you are/were a Starcraft nerd like me and want to relive old glories, then you can post about that as well! If you found this article helpful then do me a quick favor and click the "Like" or "Tweet" button below. If someone has an edge in post-flop playing skills they should definitely play 6-max, I think it's much easier to exploit the Fish in a short handed game because you can play more hands with them, they have to defend their blinds more often and they have to play more hands or they will be blinded down. Personally I play fullring as I feel lost when I sit down at a 6-max table, as you said maybe I'm just hard-wired to play fullring but I'm trying to explore 6-max from time to time. On another note I'm a terran and I'm waiting for the Starcraft 2: Legacy of the Void :D do you play videogames like that still (I'd recommend playing Hearthstone or Heroes of the Storm if you like Blizzard's games and both are free-to-play) or you're devoted to poker and traveling? I've been watching you're videos on DragTheBar and I was wondering, which other coach do you recommend who plays micro/mid stakes as well? Any recent videos in particular? Nice couple of articles on pokernews.com by the way. Congrats again on that regard! Keep up the good work! Take care! Thanks as always Jorge! I think I am more naturally "hard-wired" to full ring as well. But I actually prefer playing 6max or even heads up these days as I think I have improved at them a lot. I love video games and always will but I definitely had to make a choice between them and other things at some point. So I haven't actively played any new titles at least in years. I had a minor Civ 5 obsession a few years ago. That was about it. For micro to mid on DTB Qtip and Stosh are probably the two best coaches to watch. Vulcans is a little bit more mid/high I think. I am going to try and put out some new videos on there again soon hopefully as well. Terran gogogo! BR great article, just to add a simple point rakeback at sh is higher because you are paying so much more rake at a sh table then at a fr one, this is particularly true at the lower limits. There is merit in what u said, just take into account that u will pay more rake at a sh tale and as a resultof that you won rate will drop. Also up to nl50/nl100 sh regs tend to be better that fr ones, lots of fr regs are big nits, so ironically, you can play more hands hu vs the fish at the fr tables. Playing fr and sh at the same time does not induce errors given that you kind of need to change gears between each game? I mean, your ranges will change as you sugges. All you damn Terran players! It was always my worst matchup haha. Ah good point with the rakeback. I hadn't considered that. I always thought playing both would be a problem as well. There definitely is a period of adjustment but I think now my brain just instantly switches back and forth between them. Thanks for the suggestion. I will make a note and try and get something out on that in the future. Variance is definitely lower in full ring. This could make full ring easier for people with mental leaks and difficulty handling swings. Yup good point. I am actually going to add that to the article. Love this analysis! My hard-wired preference is full ring as I am a calculating/not spontaneous personality. However, I play 6-max as a way to learn to open up my game, i.e put myself in situations that I can find it too easy to avoid in FR. You just can't "wait for a better spot" in 6-max. 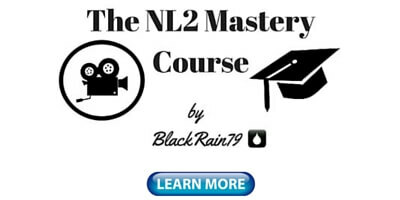 It's also a good way to learn to make more money from the HJ and CO both pre- and post-flop. Thanks Ray and I am the exact same. I´m just starting to play poker more seriously about a few months ago(still playing NL2), and I recently found out that I could make more money playing heads up only (*always taking my time to find worse players than me). The thing is that I don´t even consider myself a good HU player, and I haven`t read any article in your page about this tipe of play specificly (maybe I missed it). 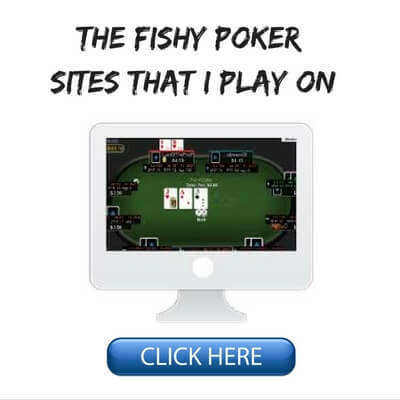 So my question is if you have any recomendations for HU play against fish in the microstakes, so people who like this format can maximize their winnings. 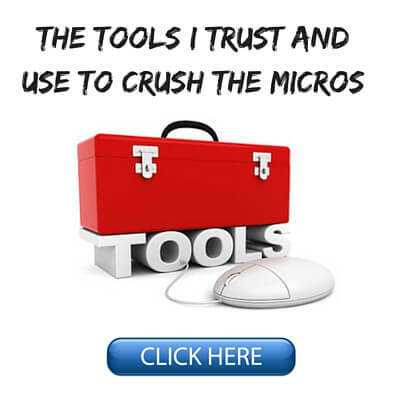 I agree that this is a very profitable way to win at the micros. Unfortunately I am no HU expert myself so that is why I don't talk about it on this blog very much. I just play a pretty straight forward game for the most part raising a lot of buttons and then value betting light. I might write an article about this in the future.